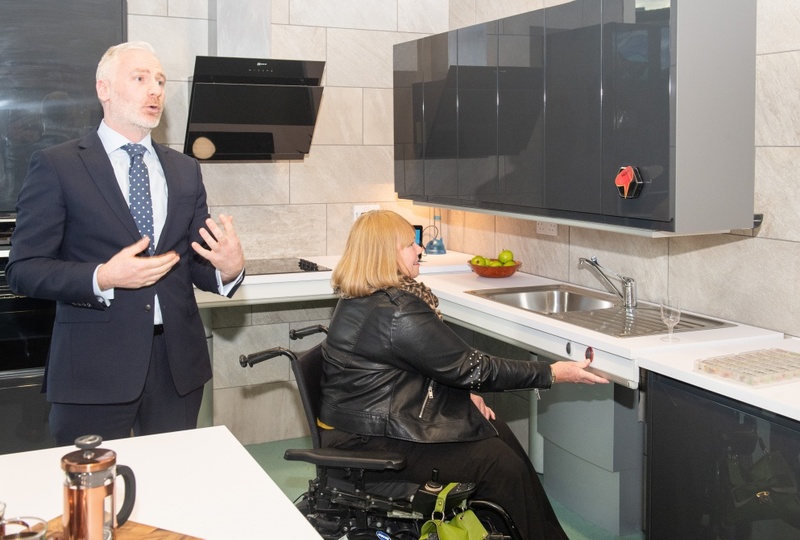 An innovative home which is set to be the model of how Edinburgh aims to help transform the day-to-day lives of people with disabilities has been unveiled for the first time. 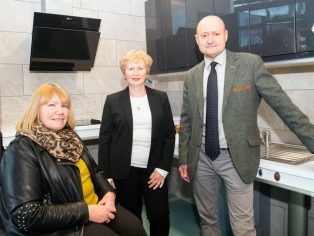 With the help of a number of manufacturers and suppliers of building materials and kitchen and bathroom solutions, a working replica of the ‘Blackwood House’ was launched on 4 December at the Edinburgh Community Rehabilitation and Support Service in Longstone. The home – which was constructed by Angus Engineering as the principal contractor and designed by Lewis and Hickey Architects – provides a place for both customers and staff to test and feedback on the latest in technology enabled care within a realistic homely setting. It is the first step in what is hoped to be the roll out of a number of the specialist properties in the city. The Blackwood House – developed by Edinburgh based charity Blackwood – is a cutting-edge property that reimagines living space, redesigning it physically and technologically to make it more accessible for disabled residents. Blackwood has been working with Pressalit, Geberit and Nicholls & Clarke who have donated components and helped to construct the final mock-up. 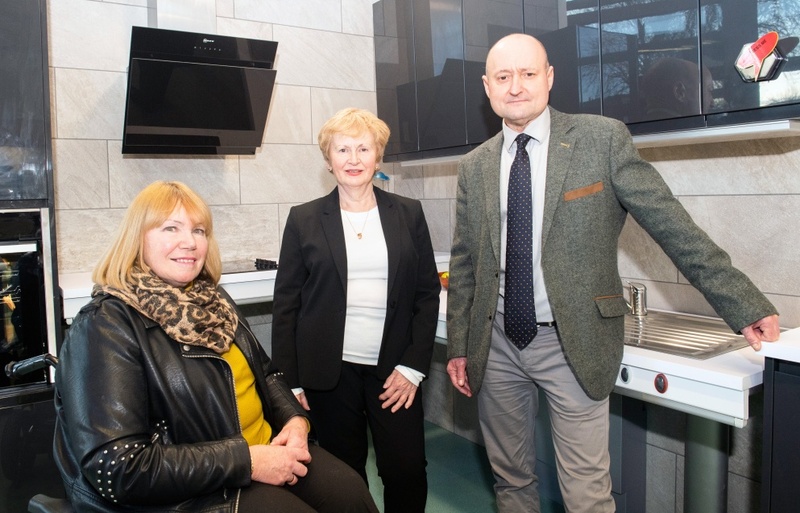 Together the organisations have also completely remodelled and refurbished the kitchen and bathroom at the Edinburgh Community Rehabilitation and Support Service so that its users can benefit from technology-enabled care. 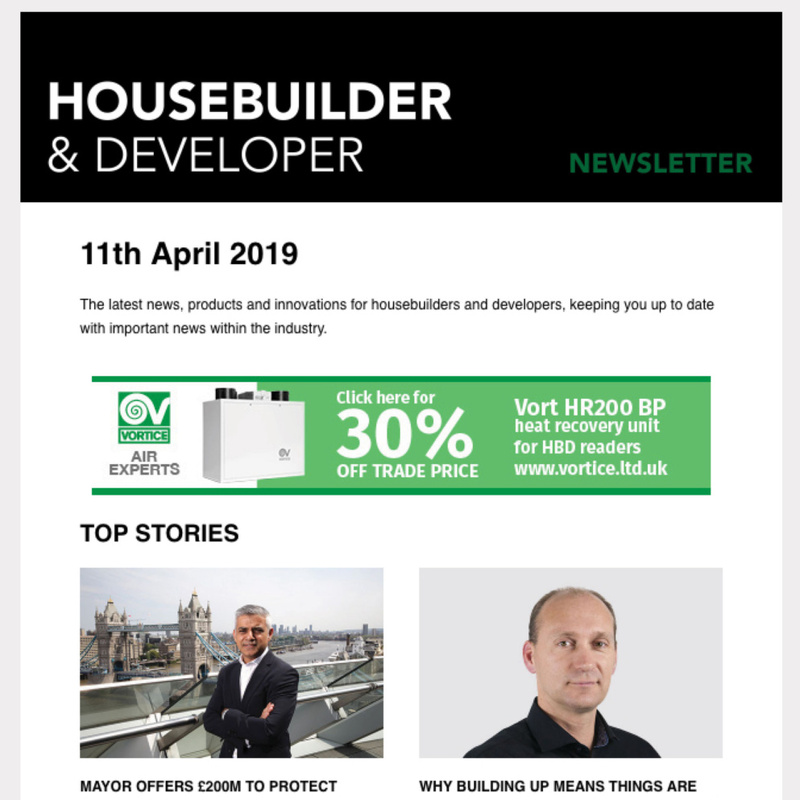 Richard Hill, Company Director at Nicholls & Clarke, said: “We are privileged to have worked closely with the Blackwood Homes team in the creation of a truly innovative and modern bathroom and kitchen specification for use in Longstone House. Every aspect of the Blackwood House has been carefully considered to take away any obstacles or issues with that can disrupt daily life. It features electric doors that open and shut at the touch of a tablet, seeing the door slide into the wall and take away the hassle of manoeuvring around it. The property is ‘smart’, too, with technology playing a key role: lights, blinds, doors, entry systems and heating can all be controlled via Blackwood’s bespoke digital care system CleverCogs. Much of this technology will be able to be controlled by voice. Denis Harley, Area Sales Manager at Geberit, said: “We were very privileged for our Care wash/dry toilet system to be chosen for Blackwood’s flagship build in Dundee in 2017, where the Concept design first became a reality. Special features include high and low-level kitchen units that rise and fall, and contemporary moveable bathroom components that provide high levels of accessibility. “Following on from our involvement with the highly successful launch of their Concept Home development in Dundee, we were delighted to have been asked by Blackwood to assist with the refurbishment of Longstone Resource Centre. The launch of the Blackwood House in Edinburgh – which will also allow the concept to be seen and experienced by agencies and individuals from across Scotland – comes as Blackwood steps up its ambitious plans to deliver up to 160 of the lifechanging properties in Glasgow, Inverclyde and Dundee over the next three to four years. In Scotland, 17,000 wheelchair users are poorly housed and a further 61,000 people are waiting for adaptations to be made to their homes, in spite of it being four times cheaper to build an accessible house, rather than fit one out retrospectively. “The Blackwood House is designed to be solution to this national crisis – it’s all about independent living. “For many people with disabilities, it’s not that they can’t look after themselves; it’s simply that their current home set-up doesn’t allow them to. “Technology can do just about anything these days so we’re making it our business to ensure that people living with a disability really gain from its advances. 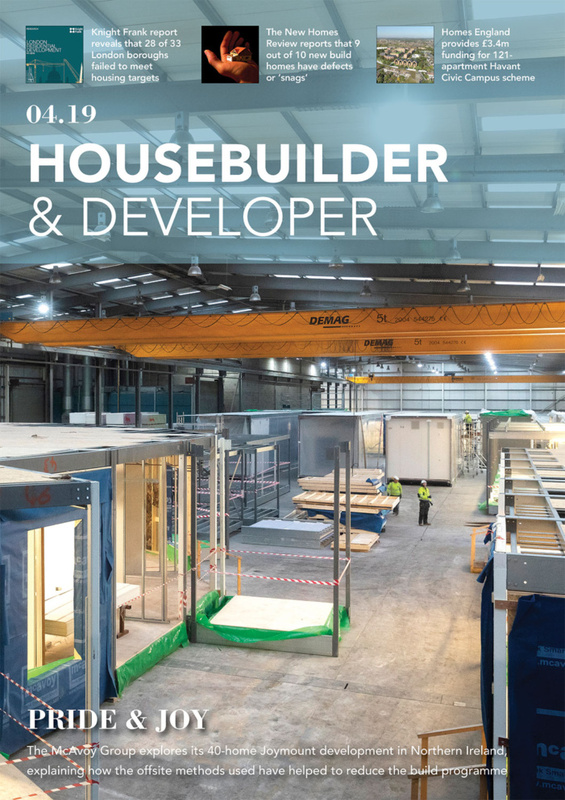 “We really hope that this event changes attitudes and gets people to recognise that this sort of housing provision is needed in Scotland’s towns and cities. “In particular, we’re very pleased to be speaking with the Edinburgh JIB about the best solutions to the housing issues in the care sector in the capital. “Our Chair, Max Brown, is delighted that this all went ahead and is especially pleased that it is a great example of partnership in action with the Health and Social Care Partnership.